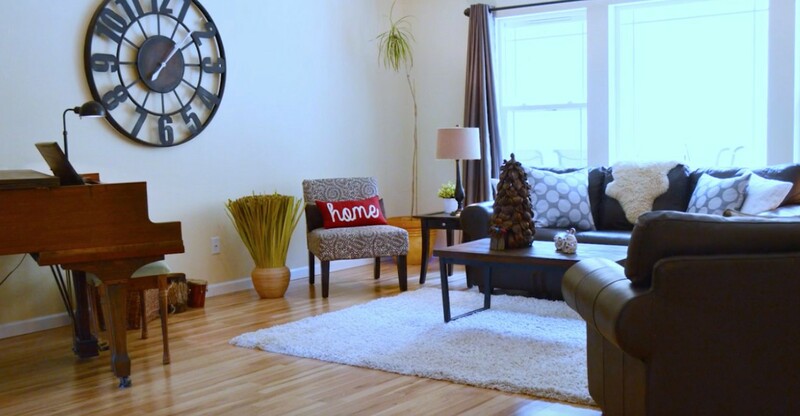 Year after year, our customers continue to be drawn to homes with spacious, open floor plans. Another important feature is split bedrooms, where the master suite and the other bedrooms are located across the home from each other, providing family members and guests plenty of privacy and quiet. 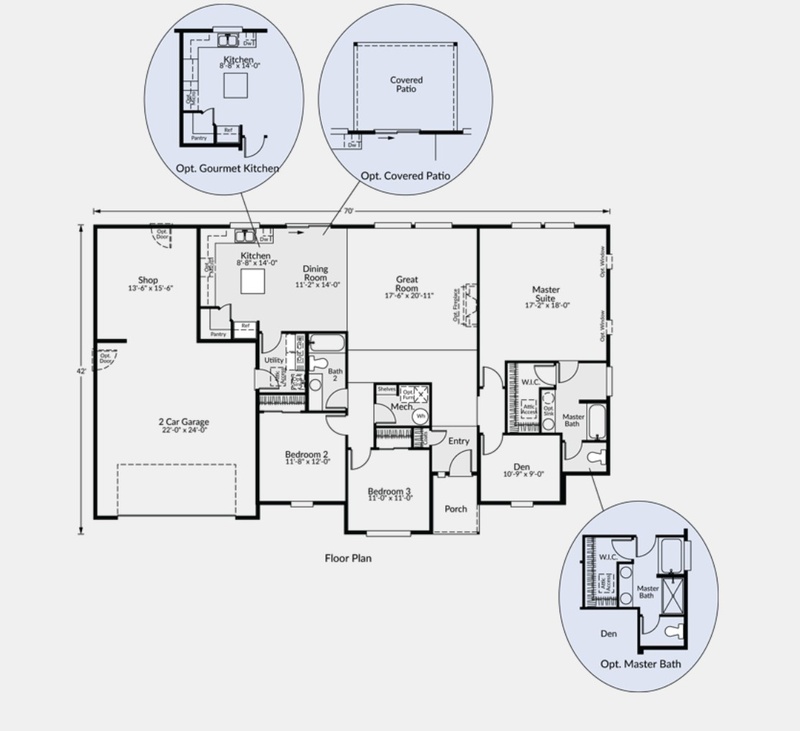 The Oswego floor plan ticks both of these boxes, which is just one reason it has become a top-selling home. 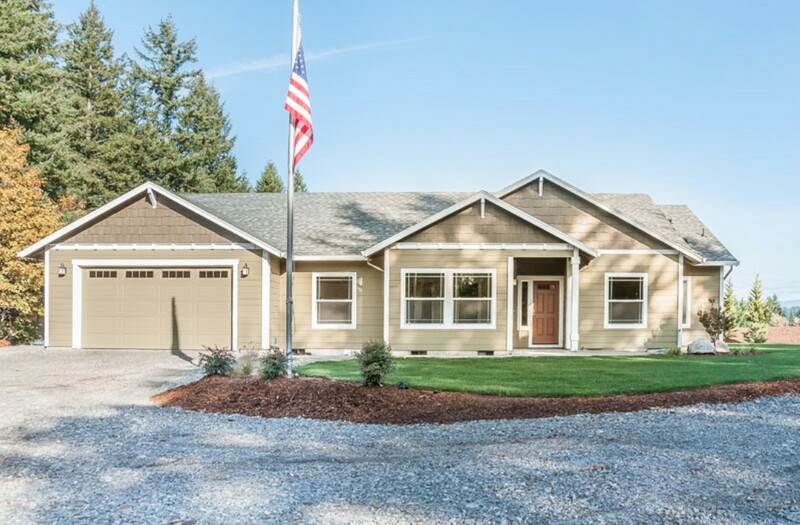 The 1,952-square-foot open-concept, ranch-style home offers three bedrooms and two baths, plus a den and an extended garage with a workshop. The Oswego is a great choice for growing families, because it has plenty of space, but it’s also popular with smaller families and singles who love to entertain—and its one-story design makes it attractive to empty nesters and multi-generational families who prioritize functionality. The Oswego is available in five distinct exterior styles, including the charming Craftsman and the attractive Signature, pictured here. Each style has a lot of big windows, a classic design, and an inviting front porch. The home also offers a variety of customization options, including a spacious covered patio situated at the back of the house, right off the dining room. At the heart of the Oswego plan, an expansive great room creates a comfortable living area, which flows directly into the dining room and kitchen. Large windows bring in lots of natural light, while an optional fireplace adds even more charm and warmth. 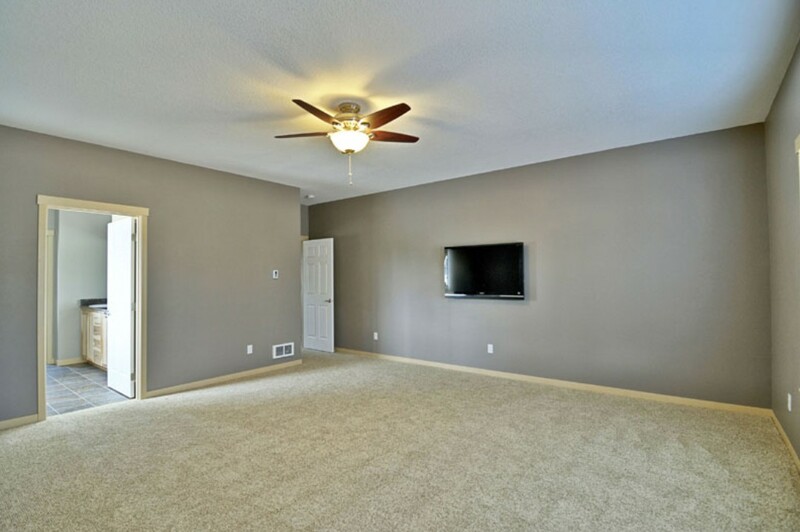 Our customers love how this great room creates the perfect gathering place for the whole family, while also putting space between the bedrooms for optimal privacy. One of the biggest draws of the Oswego is its open kitchen and dining room, which are located right off the great room. This makes prepping for both everyday meals and special occasions convenient and fun, because everyone can be together. The kitchen includes a huge pantry and lots of cabinet and countertop space, and you can add an island for even more functionality and style. The spacious master bedroom is tucked away by itself, creating a true retreat at the end of a long day. Although the bedroom already includes two large windows, you can opt to add one or two more windows to take advantage of your view and enjoy more natural light in this inviting space. 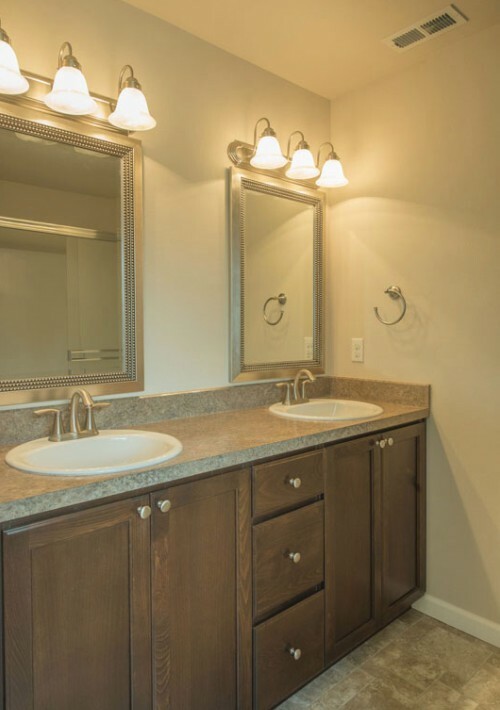 The master bathroom is a private, relaxing space that can be upgraded with dual sinks and a roomy walk-in shower to create even more of a relaxing, spa-like feel. The second bathroom is conveniently located in the center of the home, providing quick access for visitors and overnight guests alike. The Oswego’s garage is a dream come true for hobbyists and tinkerers. With plenty of space for two vehicles, it also includes a 200-square-foot workshop that can be used for gardening tools, bikes and other exercise equipment, car accessories, woodworking projects, and anything in between. You can also opt to add a rear or side-entry door to make it easier to come and go while you enjoy your hobby time. If you don’t plan on using the workshop space, you can convert it into another bedroom or a movie room. As you can see, the Oswego has a lot to offer singles, empty nesters, and families of all sizes. And the best part is, it can be customized in nearly any way to meet your unique needs. 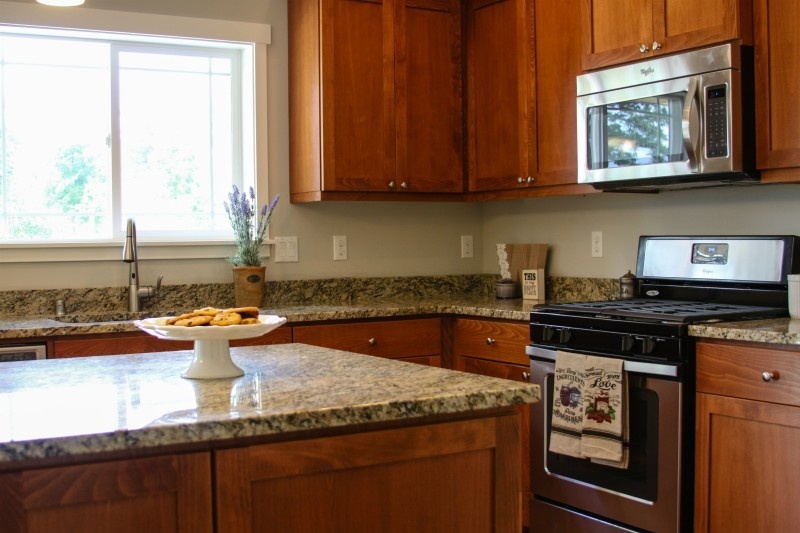 Ready to learn more about the Adair Homes design process? Download our free custom home Design Guide now.